The frustration coming out of the Los Angeles Kings organization continues to mount as the team tries to find answers for its horrendous start to the season. While Sunday’s 5-2 win over the Edmonton Oilers lifted the spirits of the team, their next three road games against the Vancouver Canucks, Oilers and Calgary Flames will determine the direction of the club moving forward. 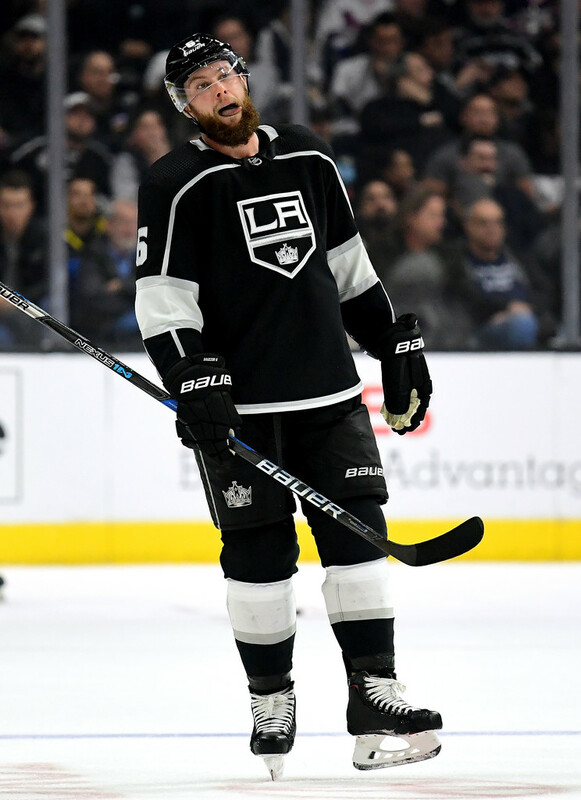 It has been widely reported that Kings GM Rob Blake is open for business, and his trade earlier this month that sent Tanner Pearson to the Pittsburgh Penguins for Carl Hagelin, who is now week-to-week with a knee injury, may be the tip of the iceberg. As TFP reported two weeks ago, the Kings have made right wing Tyler Toffoli available, but he isn’t the only player on the block. Defencemen Jake Muzzin, Alec Martinez and Derek Forbort, and forwards Kyle Clifford and Jeff Carter may also be in play. Left wing Ilya Kovalchuk was relegated to the team’s fourth line on Sunday, playing only six minutes and 20 seconds, and will start tonight’s game in Vancouver on the fourth line, again, and it’s worth speculating how long he’ll accept that role if it continues. The Kings have spoken with the Toronto Maple Leafs about restricted free agent William Nylander, though it’s unclear if any progress has been made. Seven teams sent representatives to Los Angeles for Sunday’s game, including the Leafs and Tampa Bay Lightning, who had Assistant GM Pat Verbeek in attendance, furthering speculation that Blake is actively working the phone lines.